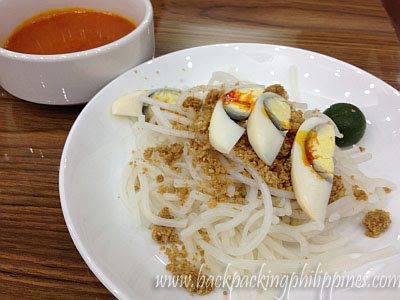 Due to the searing summer heat unusually interrupted with summer rain, common in Paete yet unusual in Metro Manila, Tutubi will "escape the heat" by sneaking in at the recently-opened Teresita's Halo-halo and Pancit Palabok of San Fernando Pampanga at Waltermart North EDSA just beside Munoz Market. 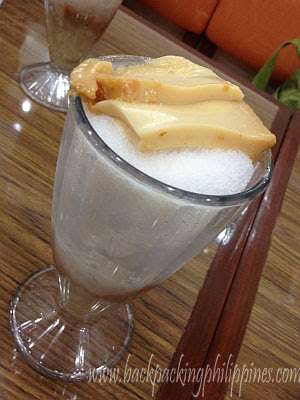 Teresita's halo-halo bears an uncanny resemblance to the more famous Razon's halo-halo only to find out later by Tutubi that the owner of Teresita's Halo-halo belongs to the Razon's clan of Pampanga. This would be a nice start-up business if Teresita's halo-halo is open for franchising. Franchise businesses are great for new entrepreneurs. Any contact numbers and franchising costs of Teresita's if open? As far as I know they onyl allow franchising if you're a member of the Razon clan. This is ensure that their specialties are passed on only to their family members.